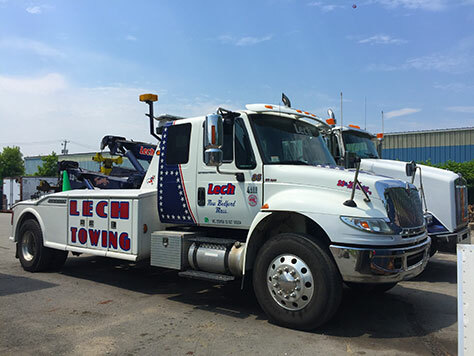 Lech Garage & Auto Body is equipped with a full fleet of tow trucks available to tow the most delicate antique or special interest car to a large tractor trailer or dump truck. Towing is offered 23 ½, 7 days a week. Our dispatchers provide 23 ½ hour service for our towing. We staff our phones 23 ½/7 so you can talk with a human being, start to finish, without the hassle of an answering service or voice mail. Lech Garage & Auto Body aims to provide quality and trustworthy service to all our customers.